You're a star! 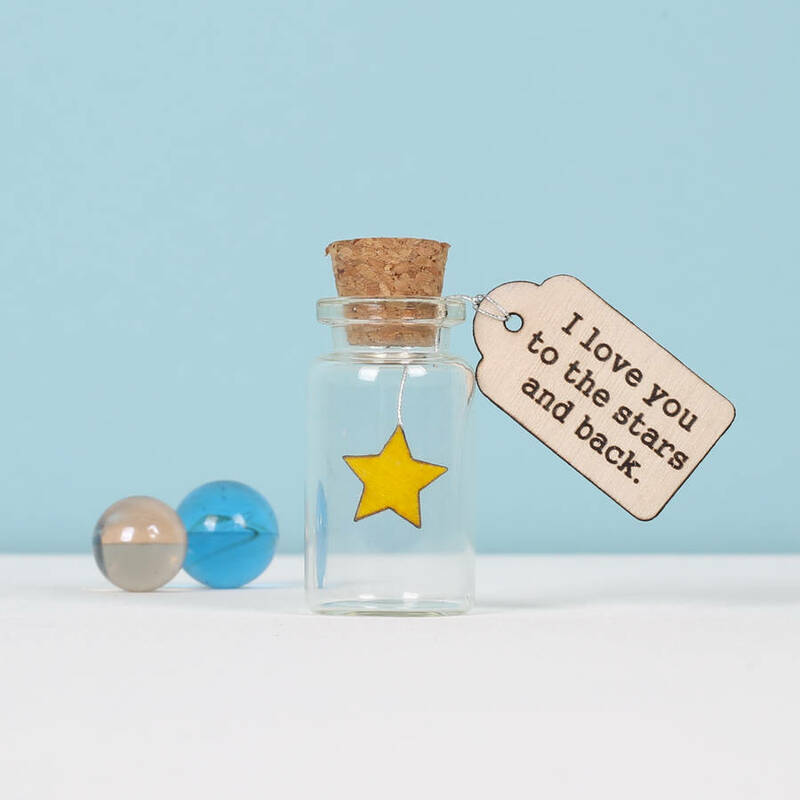 A tiny star suspended inside a glass message bottle. Token gift to congratulate someone you care about. Great graduation keepsake. 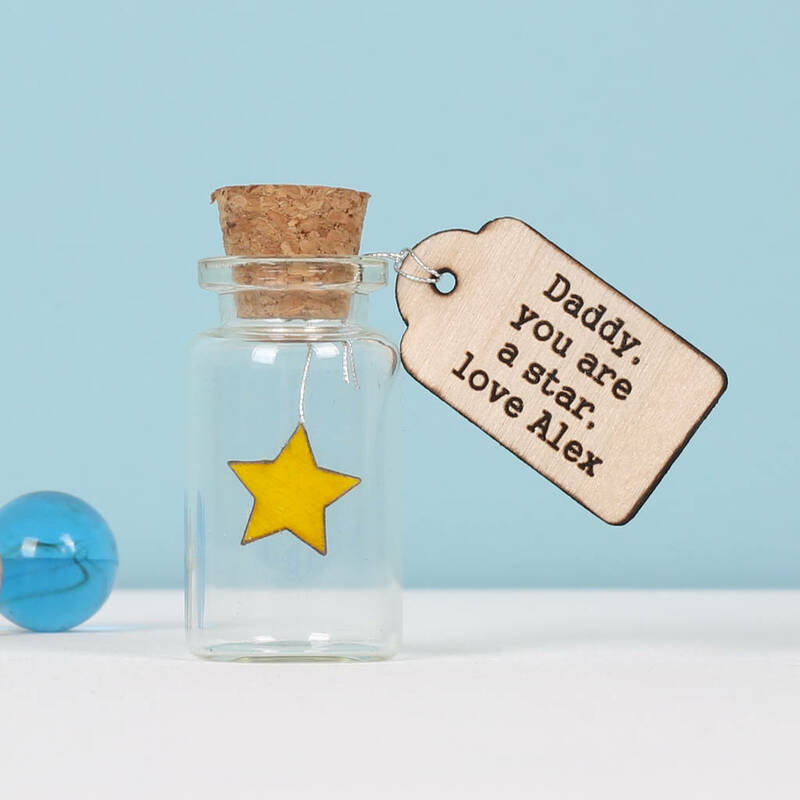 Personalise with your own message engraved on the wooden tag. 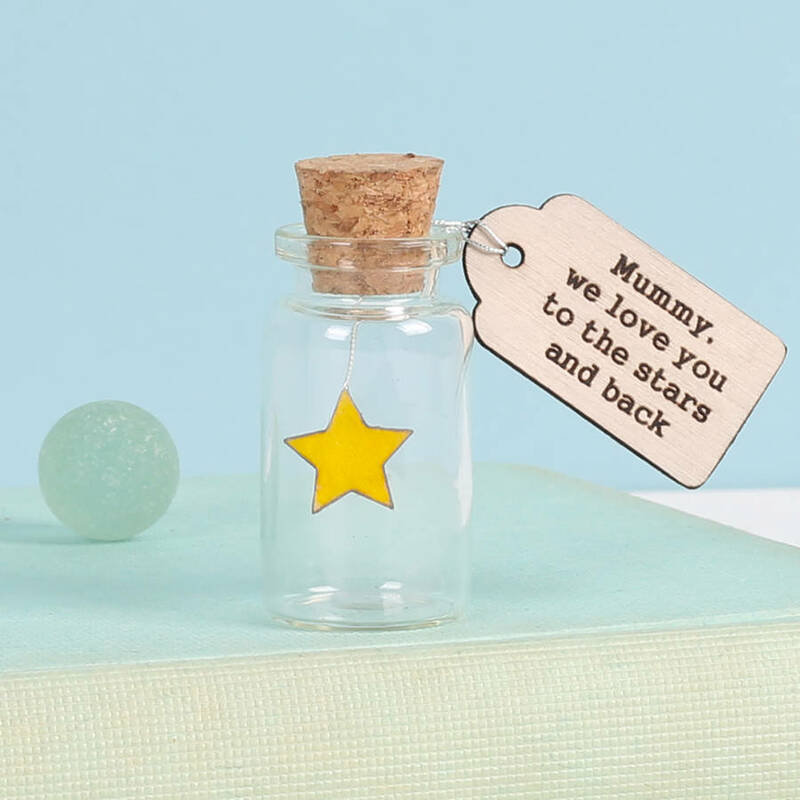 Perfect graduation keepsake token gift. 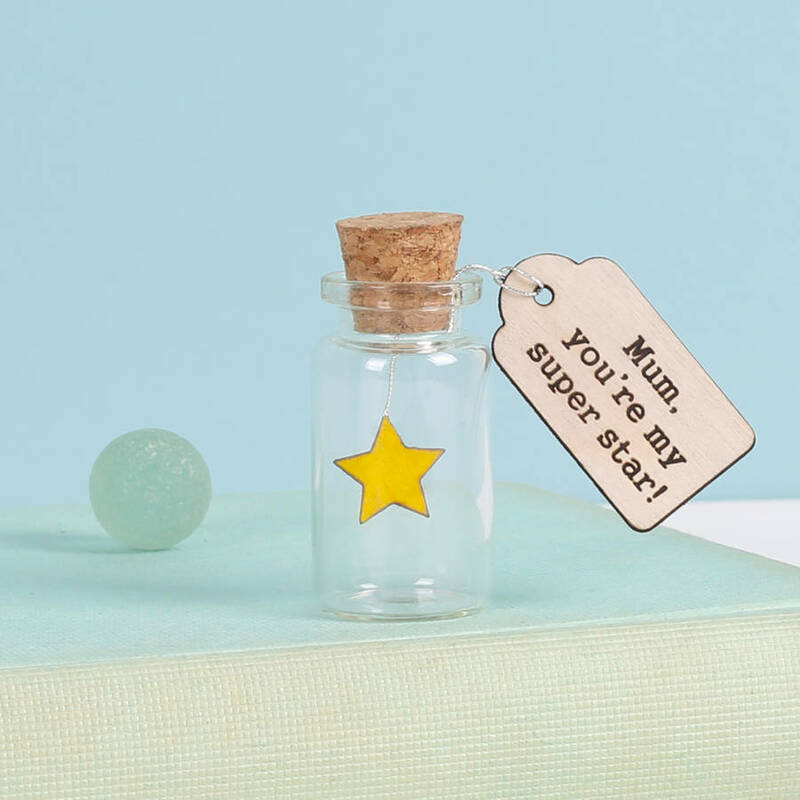 We laser-cut the teeny star, then paint it by hand using vegetable-based wood stain and carefully attach it to the inside of the bottle. It's fiddly work, but we love it. 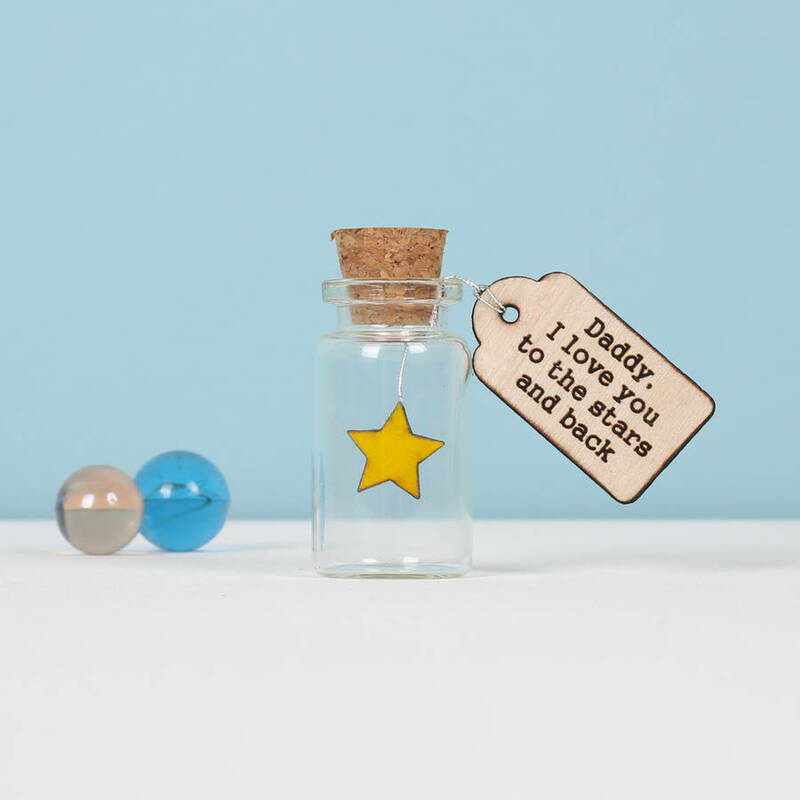 These little bottles can be treasured for years to come. 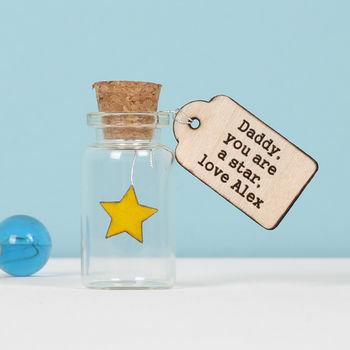 We can personalised your gift by adding the name of your choice to the words on the tag or you can write your own message. If you do choose to write your own message, we have to ask keep your message to less than 36 characters as it's only a little tag. And we have to remind you that spaces have to be counted as characters but other than that, the job's a good 'un! You can choose to add to you order a small, linen, drawstring bag for safe-keeping.